Are you looking for a quick and easy way to give your bathroom a facelift? If your fixtures are in good shape and the room doesn’t need a major overhaul, you may be able to give the décor of your bathroom and updated look simply by upgrading your shower curtain. Even though getting a new shower curtain is a very simple and inexpensive thing, changing out this important bathroom accessory can really have a big impact on your bathroom design. There are, of course, many different options when it comes to bathroom shower curtains. It's important to choose an accessory that complements the overall look and feel of the room while also being functional and easy to clean and maintain. When you're looking for an attractive and functional shower curtain to enhance your bathroom design, be sure to consider the many attractive and sophisticated selections available from Izola. No matter how your bathroom is decorated, you're sure to find a lovely Izola shower curtain that complements the décor of the space. The company's designs are quite unique. 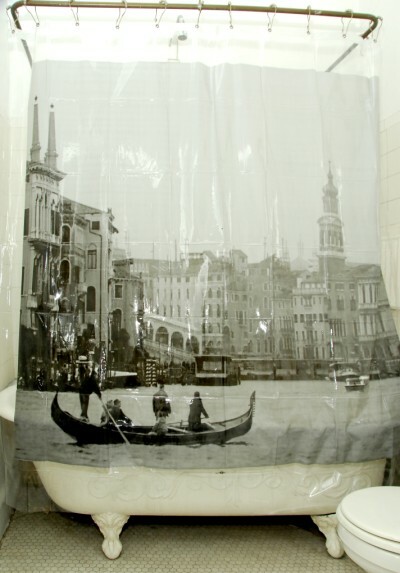 Some of the most popular Izola shower curtains feature images of major cities and attractions around the world, such as the Brooklyn Bridge, Venice, the Las Vegas welcome sign, London, Paris, and many other locations. In addition to the destination images, other images featured on Izola's unique shower curtains include an artist series, world maps, New York City subway maps, and other interesting patterns. Izola also offers a selection of eco-friendly shower curtain designs, made from polyethylene vinyl acetate (PEVA), which is a biodegradable form of plastic. Updating your bathroom décor with whimsical and functional shower curtains from Izola is a great way to improve the aesthetic appeal of any bathroom in your house. Whether you're looking to update the master bath, a guest bath, or the bathroom used by your kids, you'll be delighted by the way Izola shower curtains enhance the room's appearance. For more information, see www.izolashower.com.